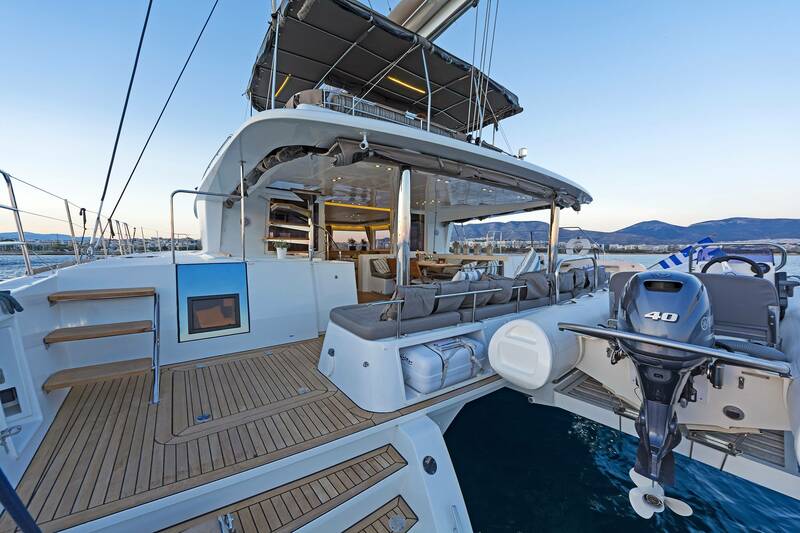 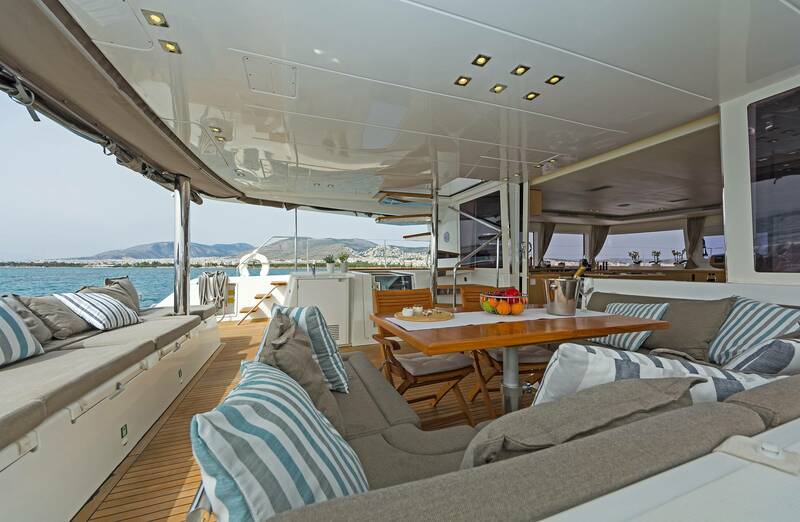 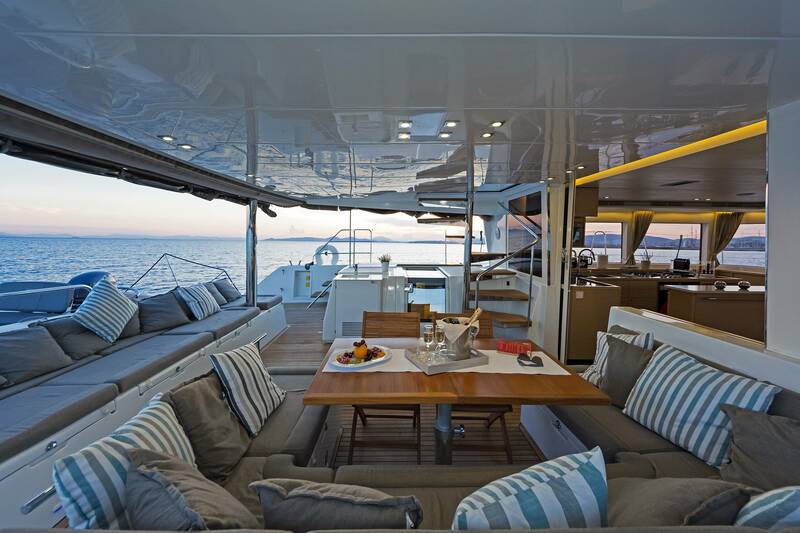 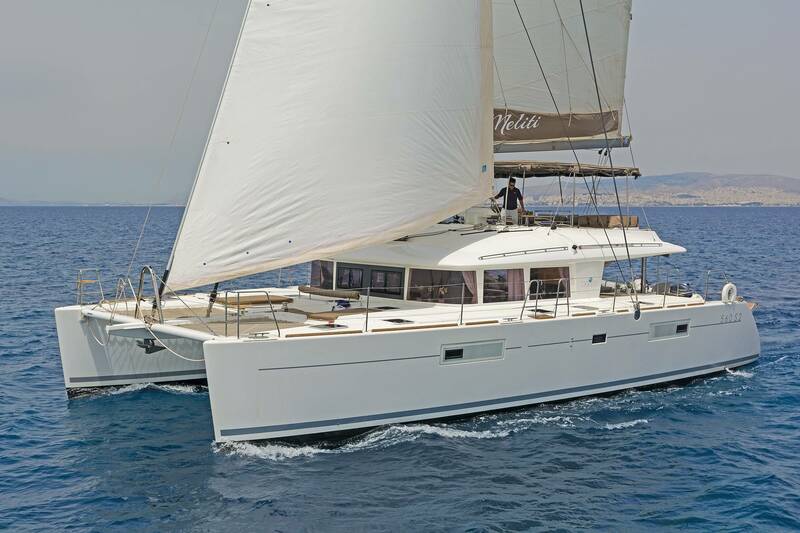 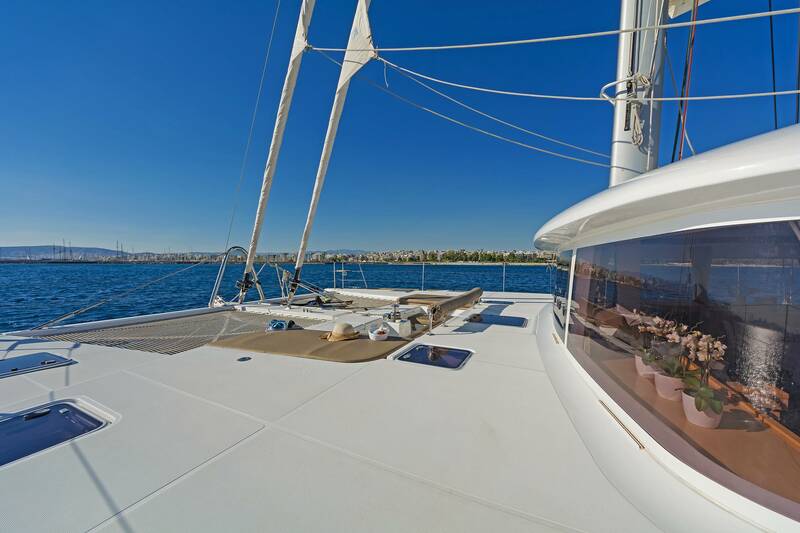 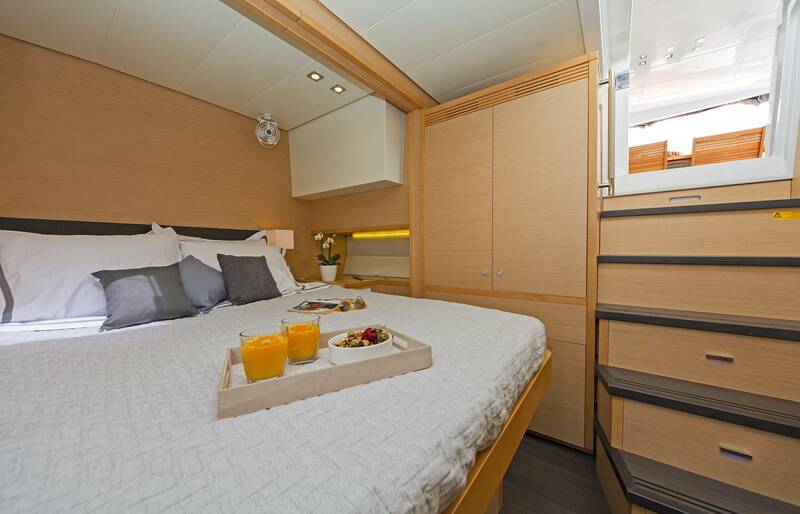 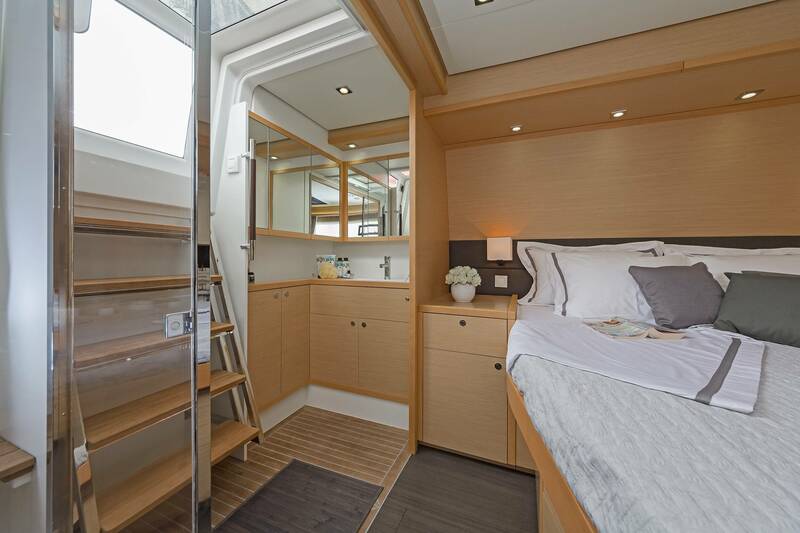 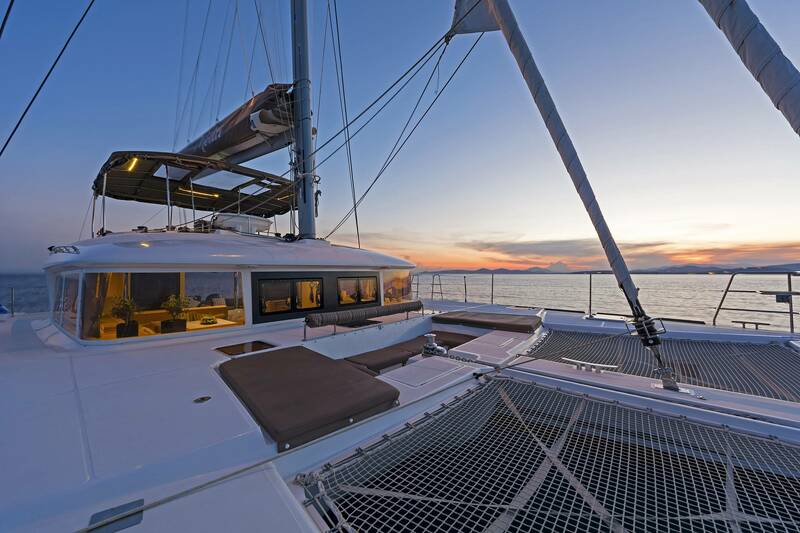 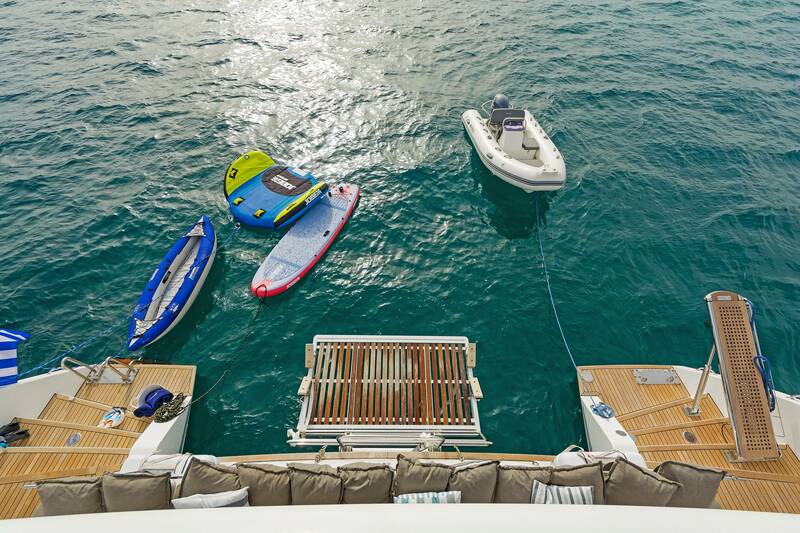 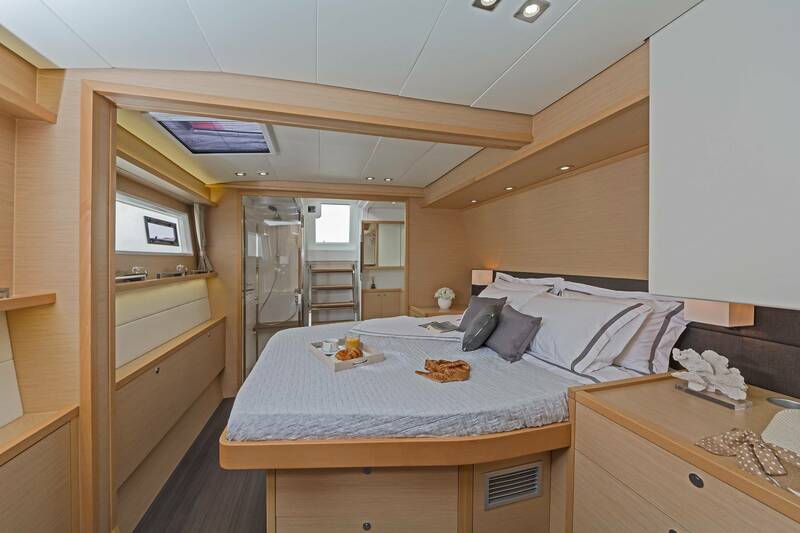 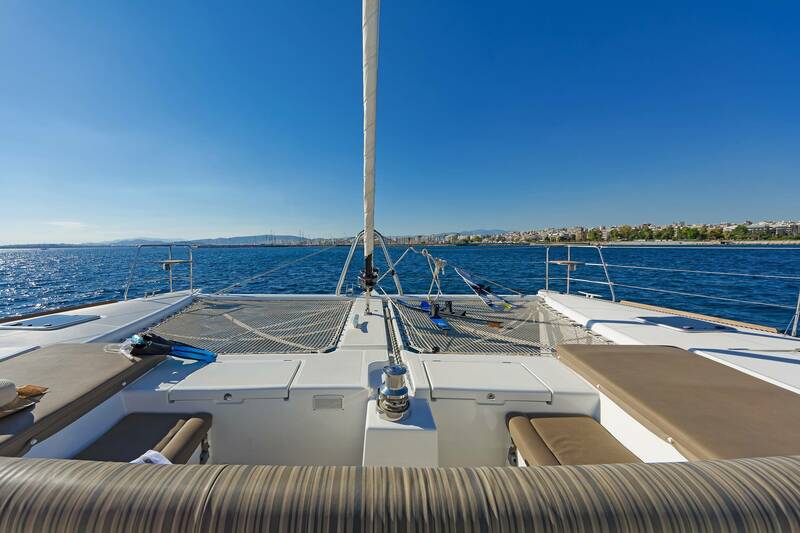 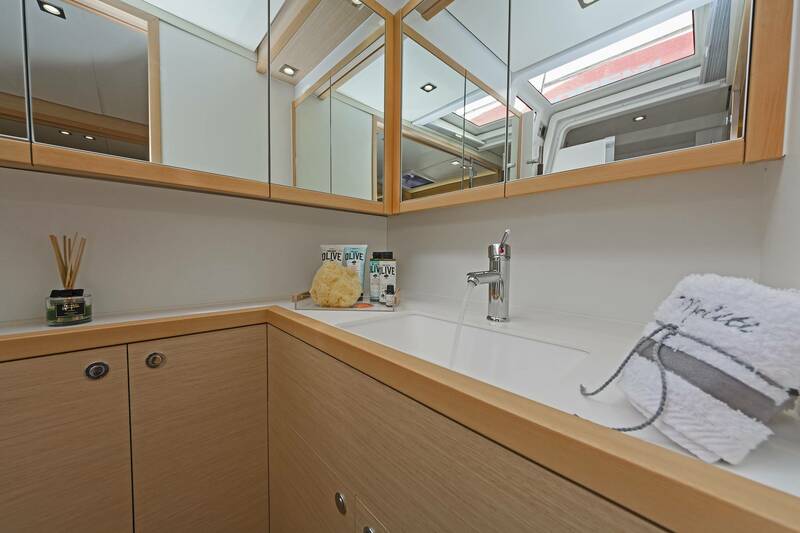 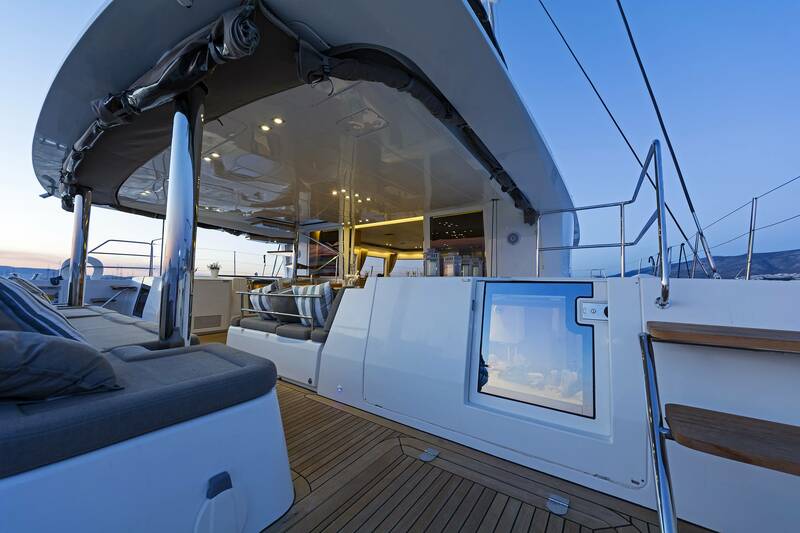 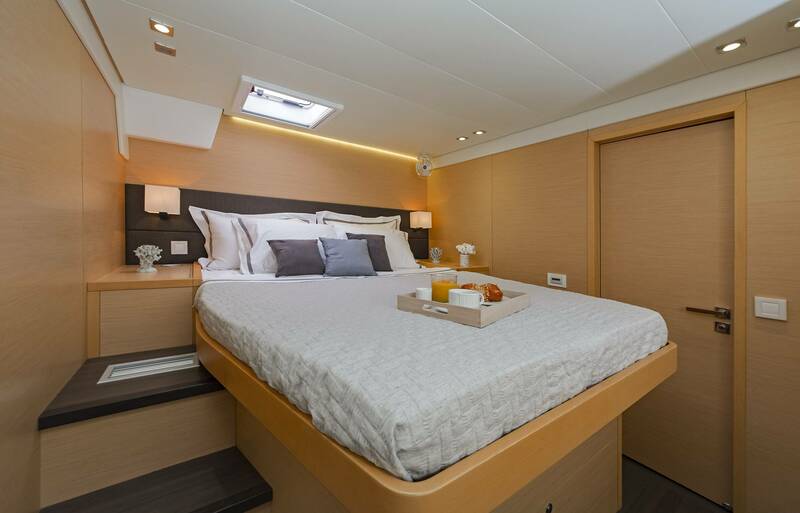 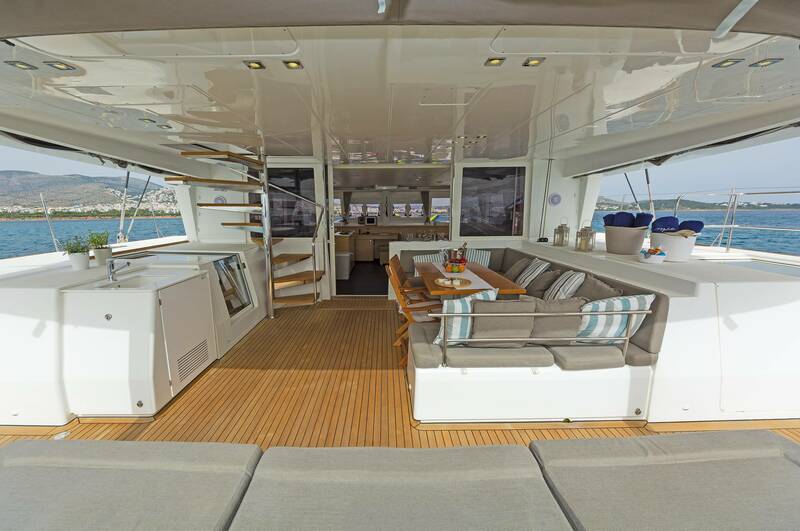 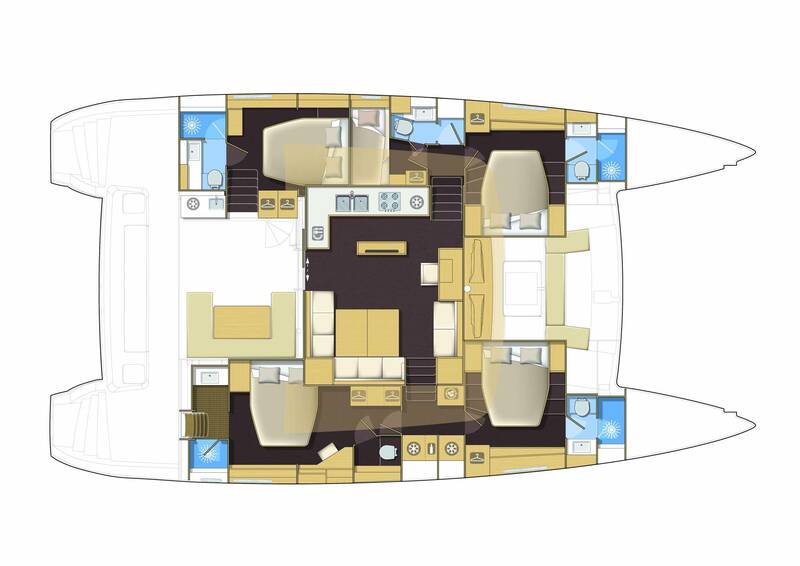 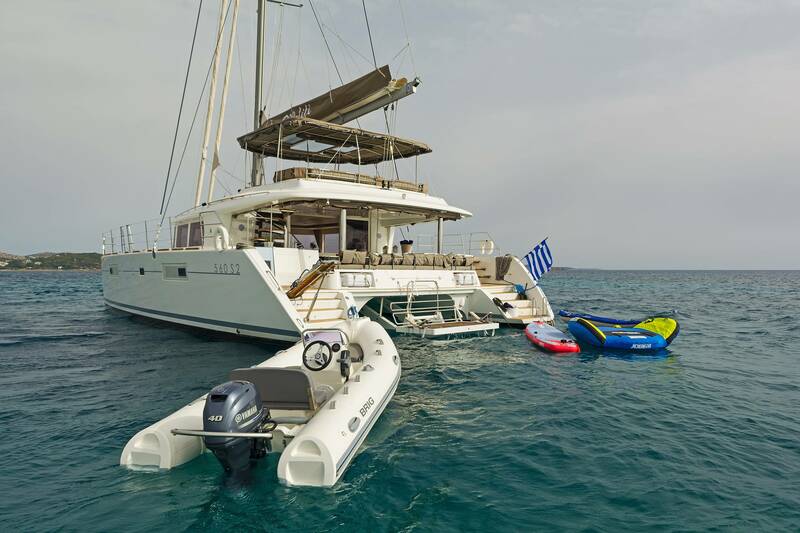 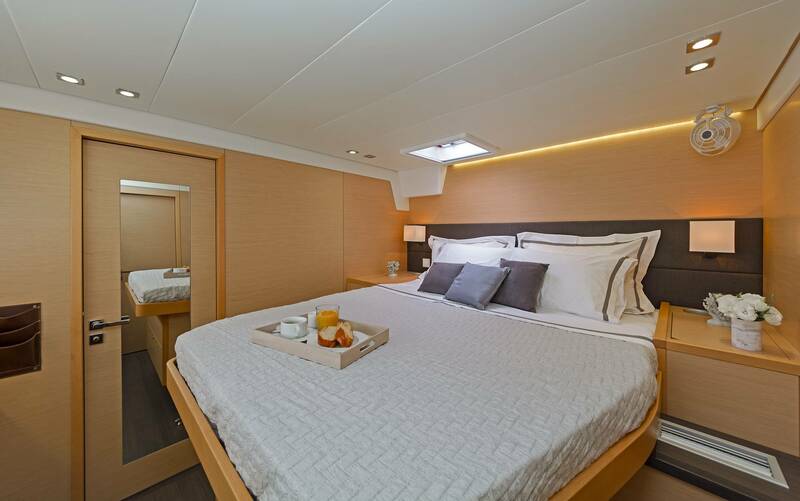 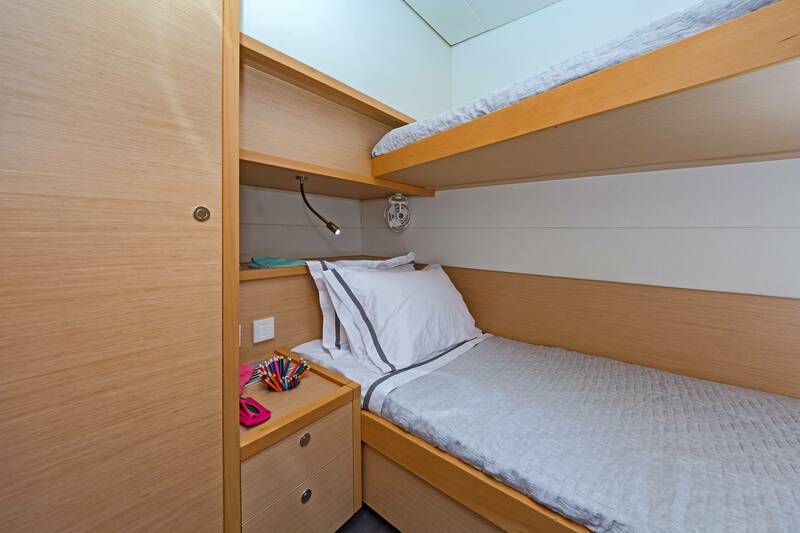 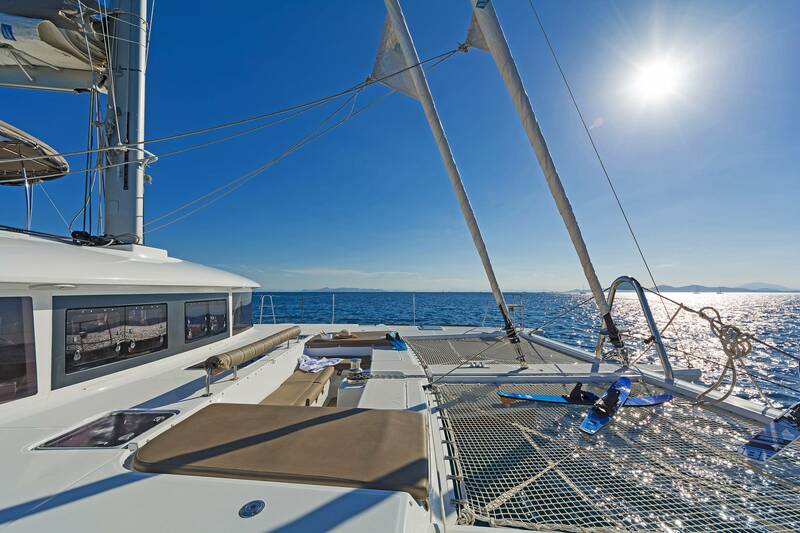 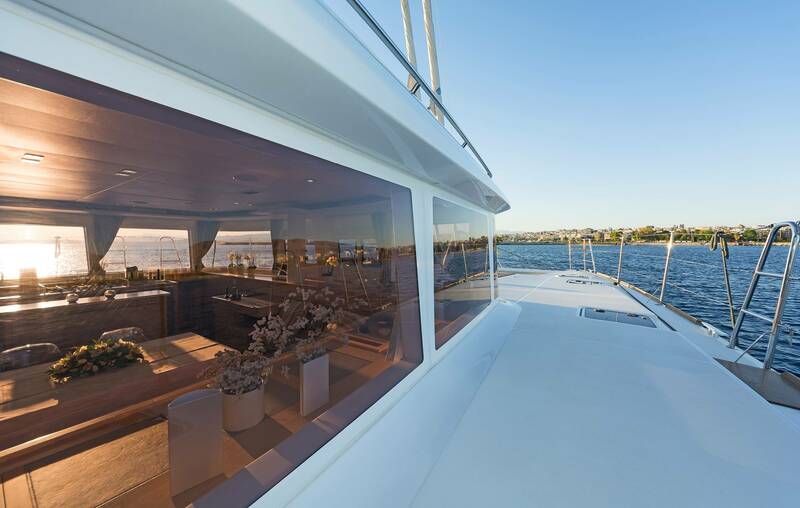 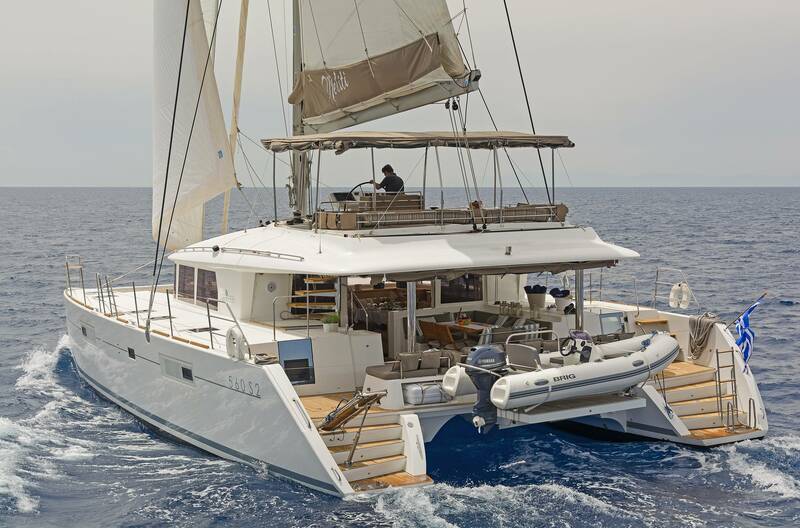 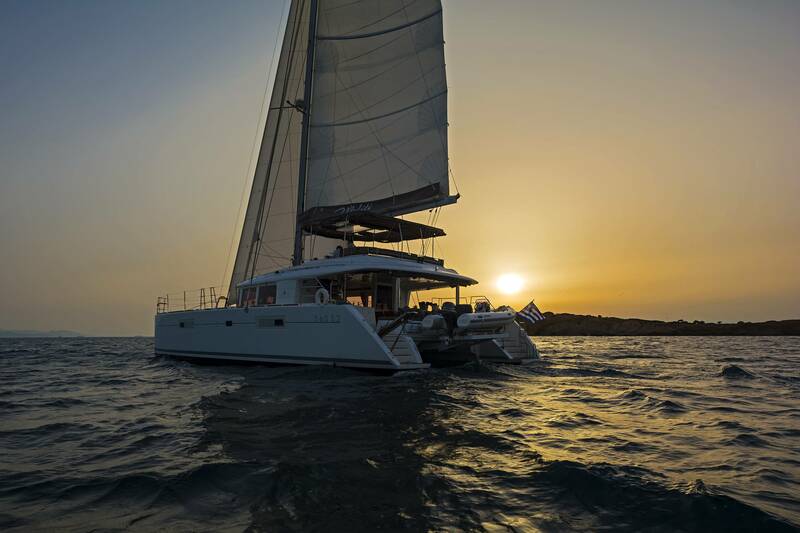 A Lagoon 560 catamaran, MELITI offers exceptional space thanks to her wide beam and great layout. 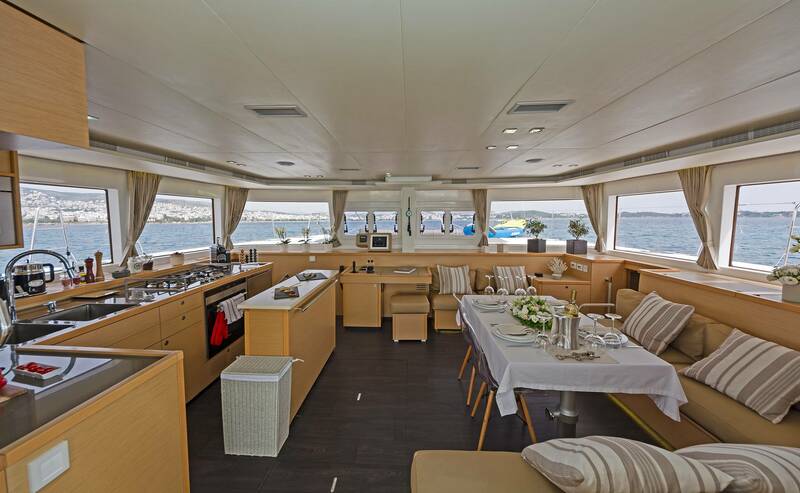 She has an open-plan dining and saloon area, with an adjacent galley. 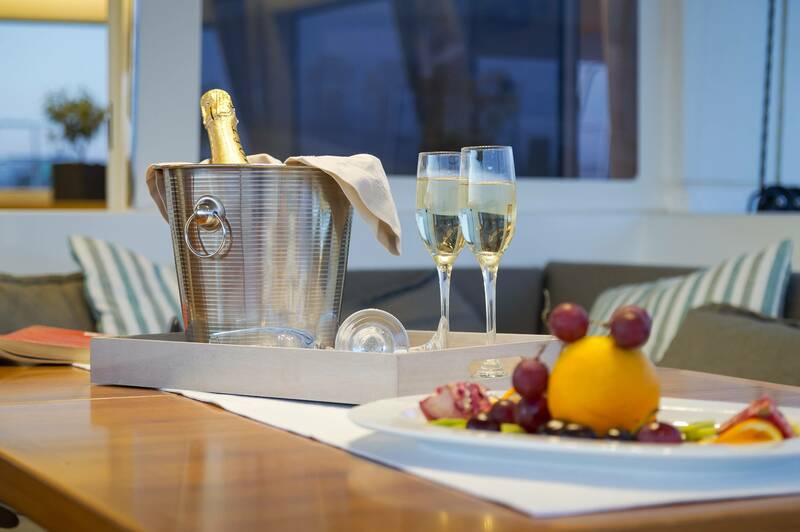 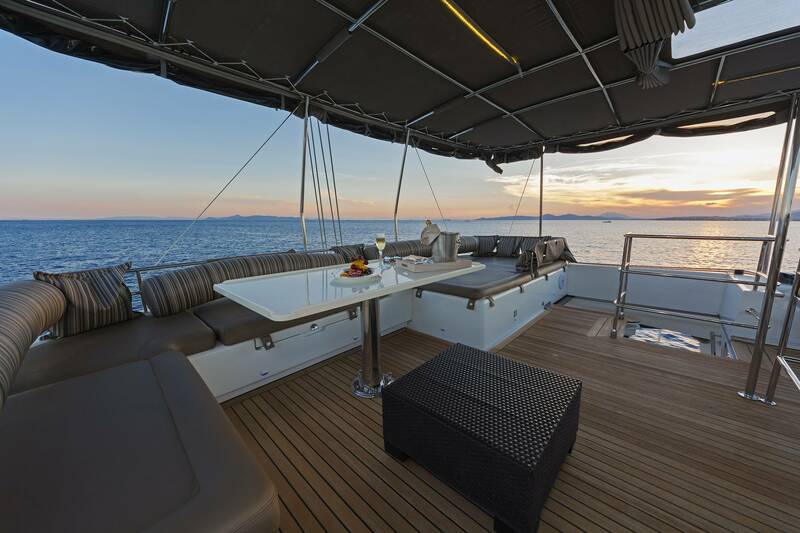 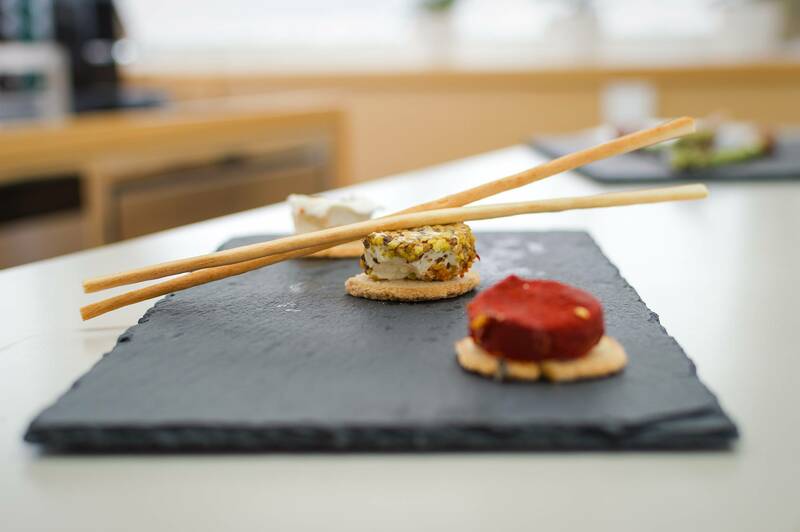 The aft deck features a comfortable alfresco dining option as well as a relaxation area with seating. 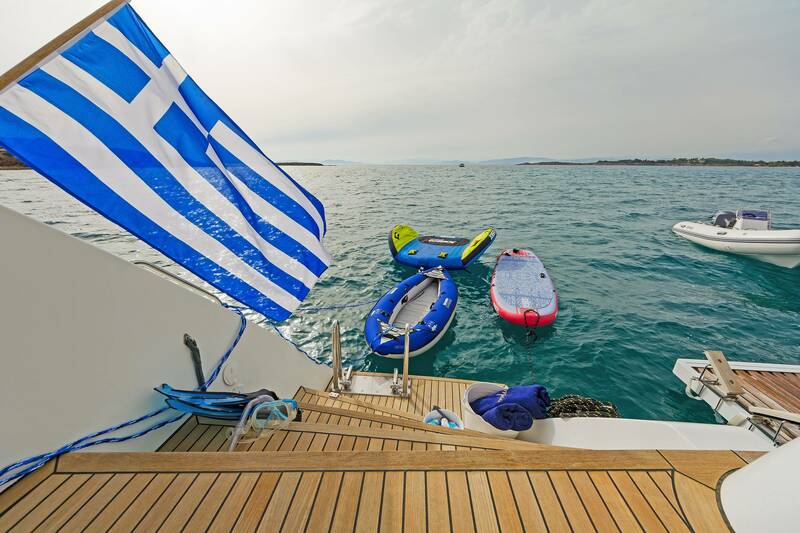 Guests will also enjoy the large sunbathing area with trampolines, as well as the great selection of water toys offered during the vacation. 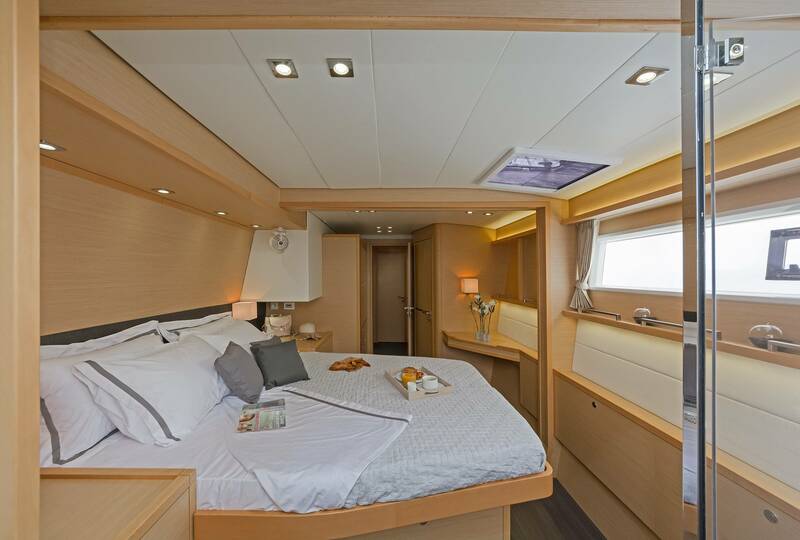 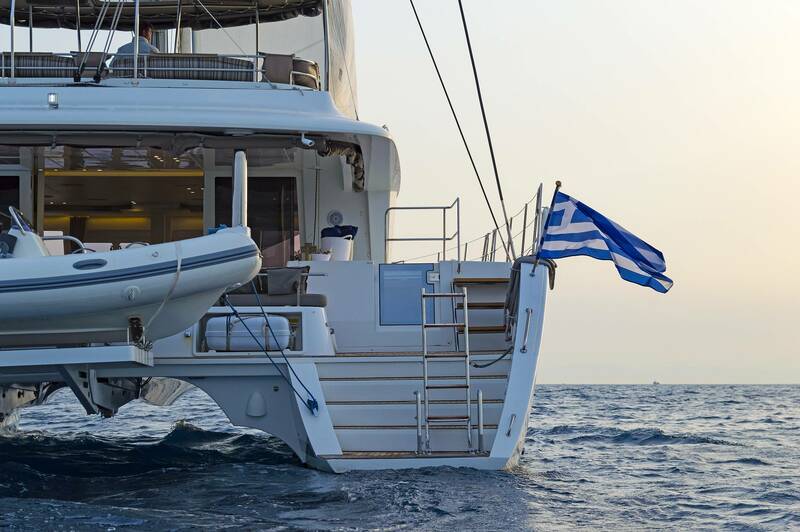 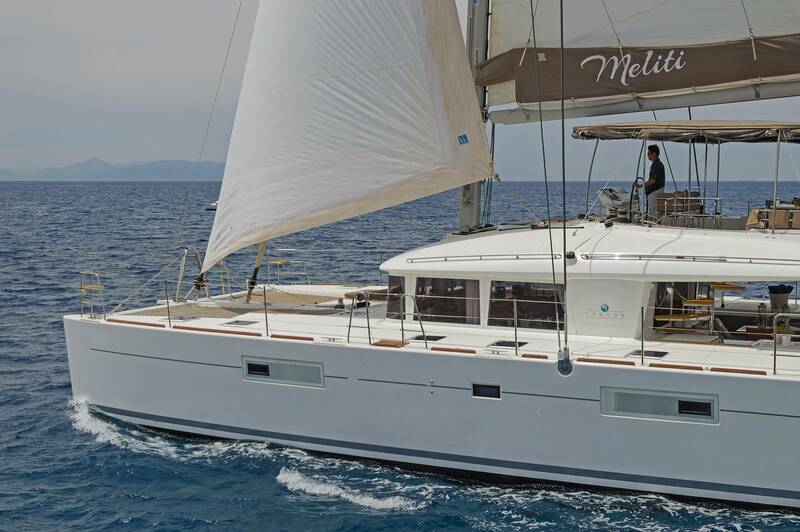 Meliti can accommodate up to 10 charter guests in 4 Queens, plus 1 cabin with upper and lower bunks.